...anyhow, much more excitingly it's time for another Besties card!! whoop whoop!! 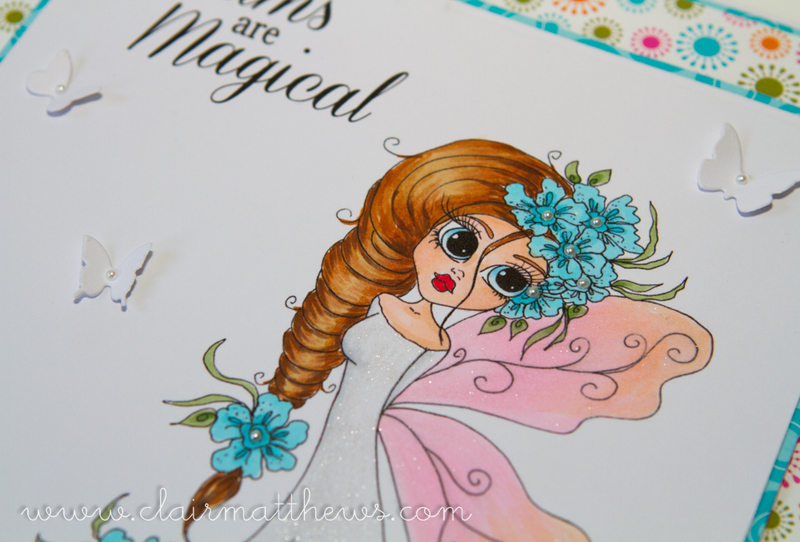 I used some bright & fun (& pretty old) stampin up papers to create this 8x8 card..
isn't she pretty?...I love her hair :) I coloured her using my Copics, added wink of stella shimmer to her dress & wings, a few simple white butterflies & some teeny tiny pearls to all the flowers..
you can find her in the Besties shop HERE. ...why not play along..go on..have fun!! Clair, your card is beautiful. I love the colours you have put together and your colouring is gorgeous - such a pretty detail to add the little butterflies too.